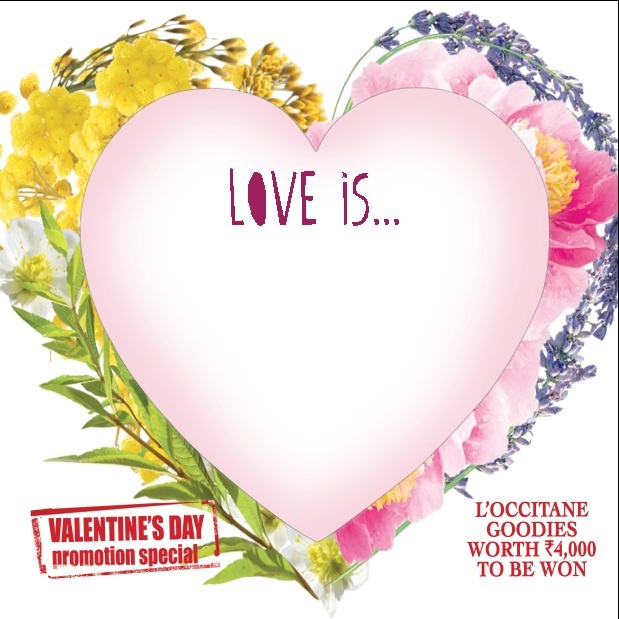 This February share your thoughts on love for a chance to win goodies from L'Occitane. All you need to do is hop into any L'Occitane boutique in Delhi, Mumbai or Pune and complete the scentence LOVE IS... The best entry from each store will stand to win a gift hamper. Contest open from February 4th until February 14th. L'OCCITANE will also be showcasing their Best Seller fragrances, bath & body products and hair care collections at the Select Citywalk Roadshow from the 9th-14th of February 2013 at the atrium next to the L'OCCITANE boutique.